Best adventure bike? Run what ya brung! The adventue bike segment is getting bigger, exploding. The offerings are more vast with each passing week. You know how they say that the universe isn’t just expanding, but that the rate of expansion is accelerating? Well, that’s “Adventure” bikes too. When we build Traildonkey 1.0 in 2014 the pickings were slim, and in our opinion nobody had really nailed the sweet spot for a multi surface, multi terrain bike capable of properly ignoring traditional bike categories – which is why we decided to go for it ourselves. Now almost four years later the industry has caught up. Almost every major brand (with a few notable exceptions) has a super legit gravel adventure bike. And here’s the thing: They are pretty much all great bikes. I can’t think of a single company that has made something awful and my money says that the genre is going to keep getting more interesting, more capable, and more fun. 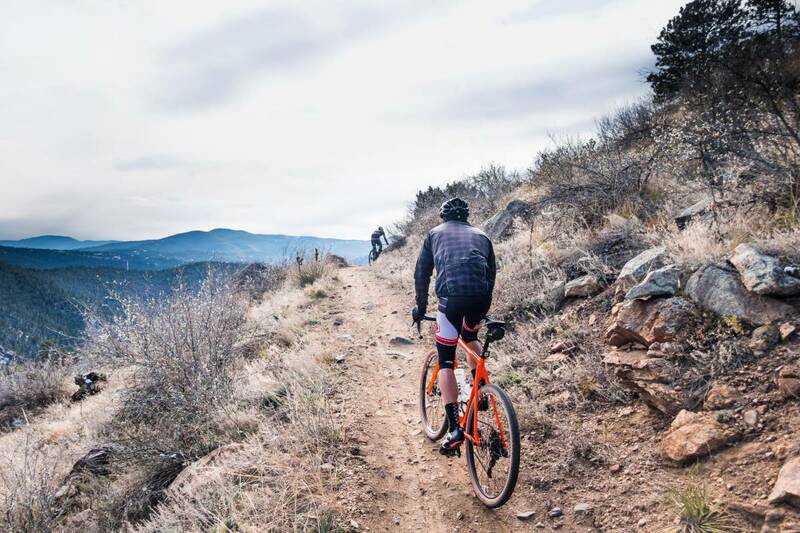 As the founder of a company that was first and foremost based on a team culture of inclusion, I find myself quite often riding in small (or even large) herd of bikes that do and do not say “Rodeo” on the down tube. Perhaps as a proper businessman I should be vexed any time someone buys a bike from not-Rodeo, but I’m not. I’m definitely an insecure guy by nature so if I see someone I know buy a different bike from a different brand it stings by default, but if I look at the factors that play into a decision about which bike to adopt it all makes sense and the insecurity fades to the background. Generally speaking I think bike purchases are approached as an effort to align the hardware that we chose with our personality and sense of self. It is a given that we all want a good bike, a capable bike. But what factors beyond that? A bike (or car, or shoe) purchase is a statement about who we think we are (or want to be). An engineer might buy a bike who’s brand story is that of a high engineering pedigree and is a bike that nails the technical specification to the smallest detail. A relational, authenticity motivated buyer might prefer a small batch USA made steel bike that has only one degree of separation from the hands that artfully made it. 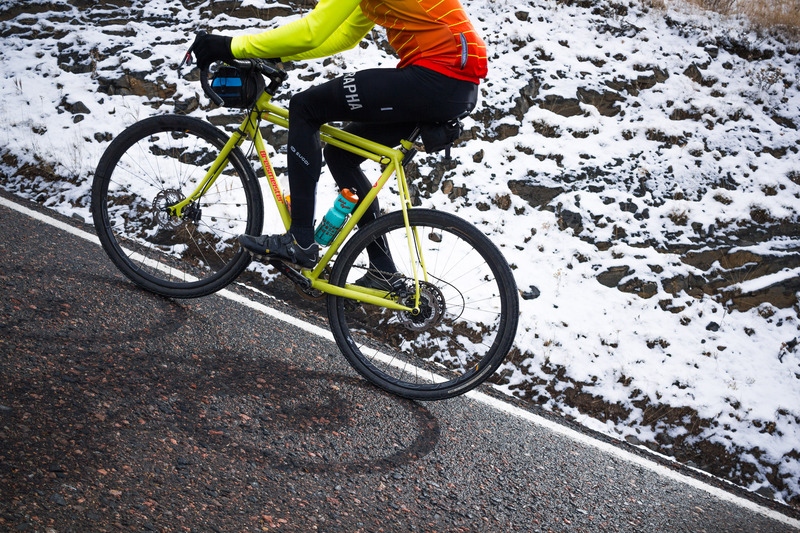 A story driven buyer might chose a bike that’s validated by places it has been and things that it has done, things that they themselves might like to do. There is no one perfect bike for everyone. There is no one perfect material for everyone. There is no one perfect brand for everyone. And that’s ok. 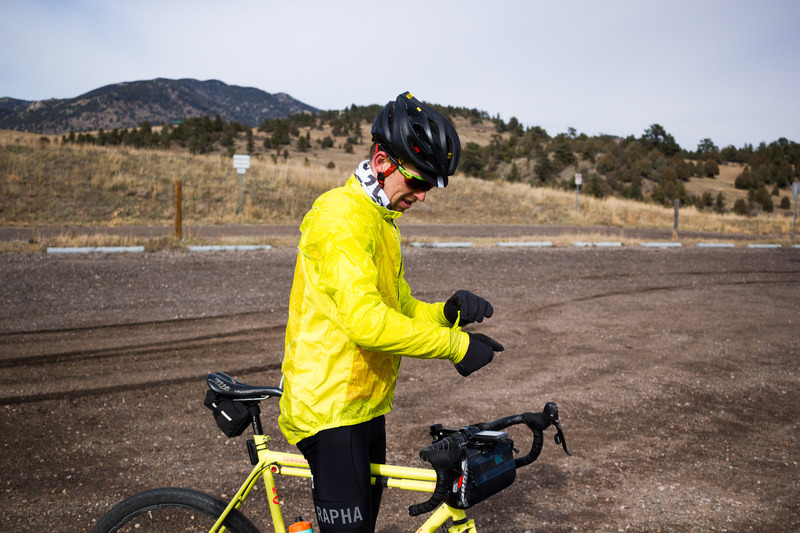 I found myself reflecting on this last week as I met up with Nick for an incredibly chilly, difficult, multi surface ride in the Front Range outside of Denver. Nick rides a Traildonkey. 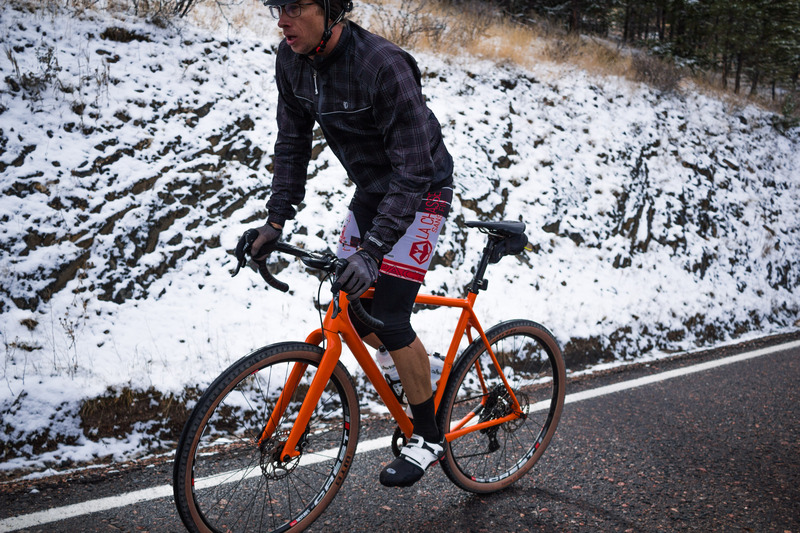 He was one of the first adopters of our 2.0 frames last year and he has arguably ridden his bike through a wider range of conditions than anyone else I know of. He has now become a sort of factory pilot, providing feedback, being a guinea pig, and is in the queue to test whatever it is that we come out with in the future. Nick and I rode towards Golden together to pick up Steve and Joe. Steve lives in Denver as well and has slowly joined in on more and more Rodeo rides and functions ranging from lunch rides to the genuinely epic 3 day Roundup that we rode this summer. Steve rides a Breismeister steel adventure bike which quite honestly is one of the few steel frames I’ve found myself lusting after, ever. His bike features nice fat tires, beautiful brazing a retina searing paint job (that I also love). It also has a painted to match full size frame pump. Steve and Joe were waiting for us at the coffee shop in Golden. I hadn’t met Joe in “real life” yet but we knew each other a bit from Instagram and he was visiting Denver and getting some great riding in while he was here. Joe rides an Open U.P. which is probably considered the market leader in the do-it-all adventure bike category. Opens have a super clever, thoughtful design. Every detail appears well considered. They are light, capable, and regularly showered with praise in review after review. 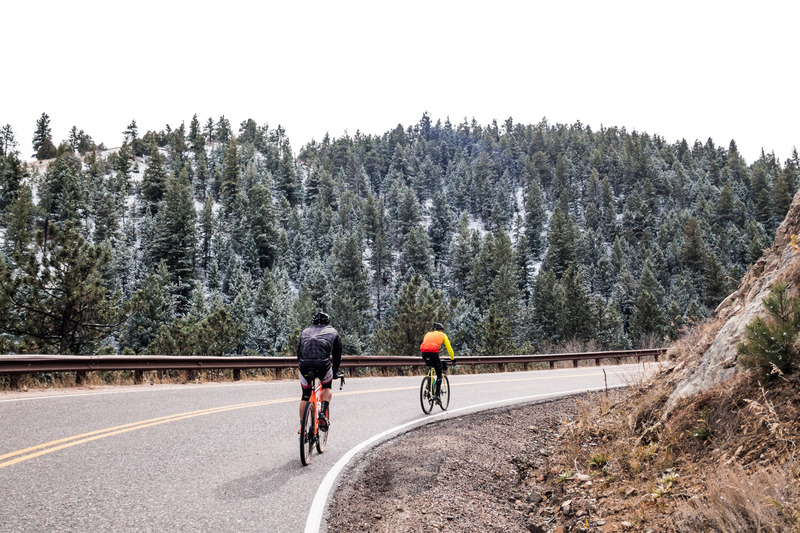 It was quite cold out and we wasted no time pointing our bikes towards the big climb of the day up Golden Gate Canyon. The one hour paved climb transported us out of the city and into the mountains. Civilization fell away very quickly and we fell into a surprisingly matched rhythm as we ascended, mostly quietly and breathlessly. We summited the main climb and descended a fast, sweeping descent. Our faces went numb. 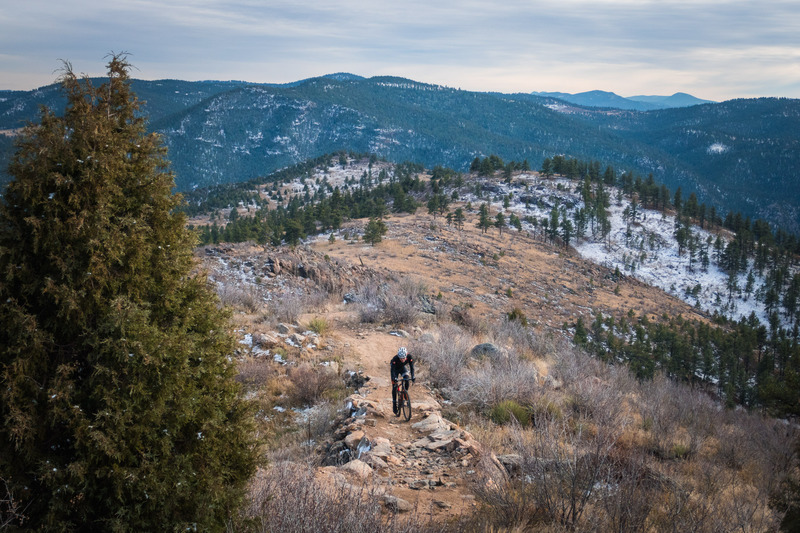 A few of us experienced brain freezes, but another punchy climb quickly warmed us back up. As we turned a corner and the road surface turned to slush. A lady in her car slowed down and shouted at us. I honestly couldn’t tell if she was mad at us or if she was encouraging us. One more small summit and small descent put us at the trailhead to Centennial Cone. 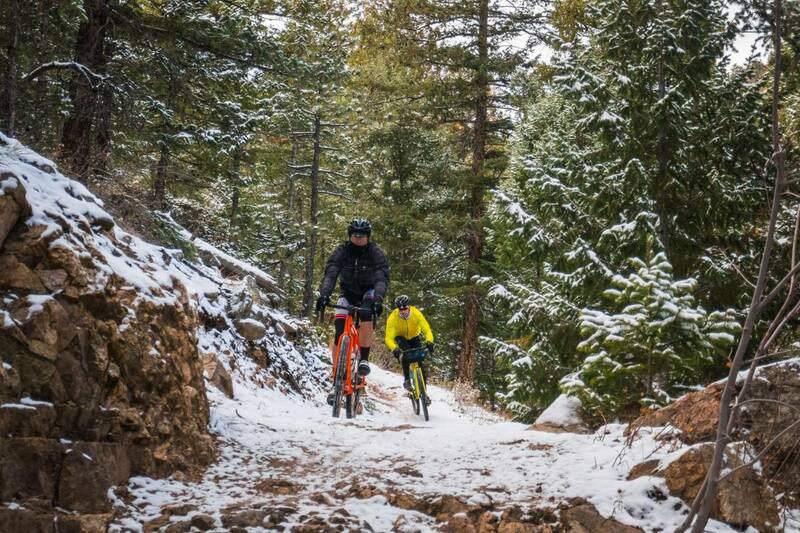 Centennial cone is a well loved mountain bike and hiker trail network tucked within decent striking distance from Denver but is also far enough away that it is less overwhelmed by users than the closer-in offerings. We spied a few hearty souls out there on our ride but otherwise had the place to ourselves. 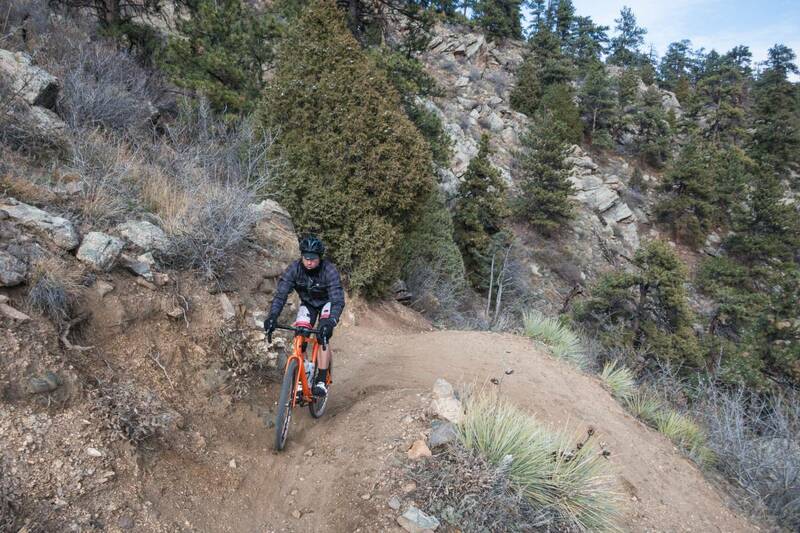 I enjoy watching other people ride drop bars on double track or singletrack. 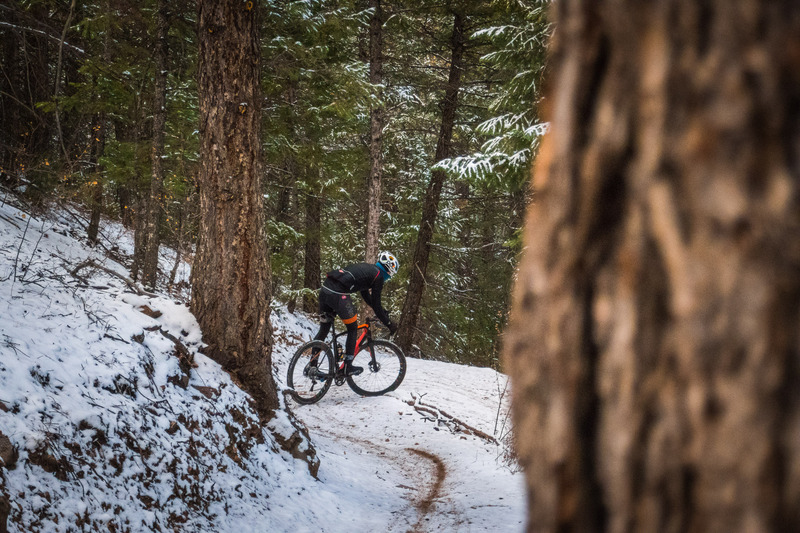 Quite often I’m out doing it alone so a bit of company is welcome, and I like to note different riding styles and ways of attacking the same technical feature or section of trail. What was most remarkable to me was that once again we were all well matched. Nobody was dropping anyone else, nobody had any secret sauce that I could tell. You know what we talked about a bunch on the ride? 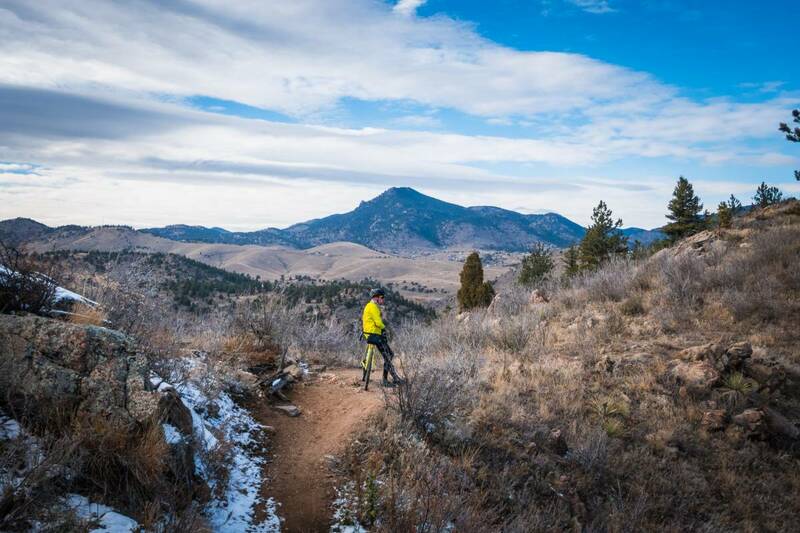 The trail, the views, the differences between Hawaii and Colorado. We also talked about freezing fingers. You know what we didn’t talk about very much on the ride? Bikes. 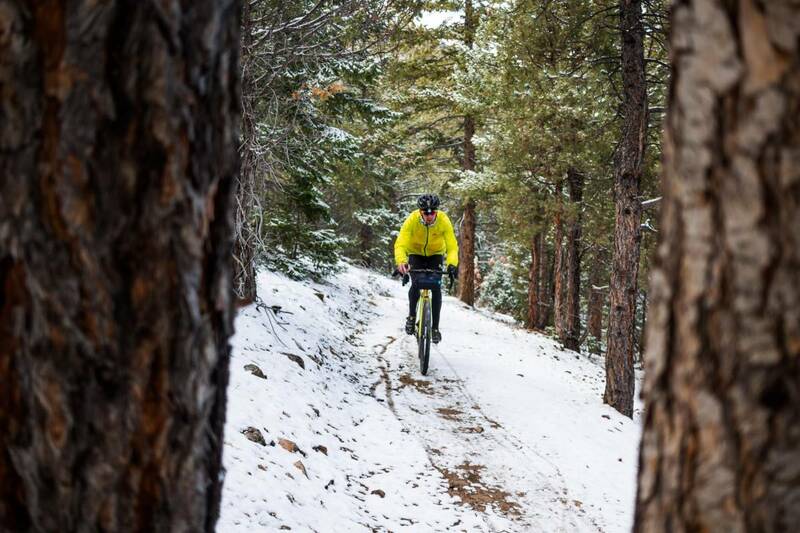 Nick had 45mm WTB Riddler tires on the ride. 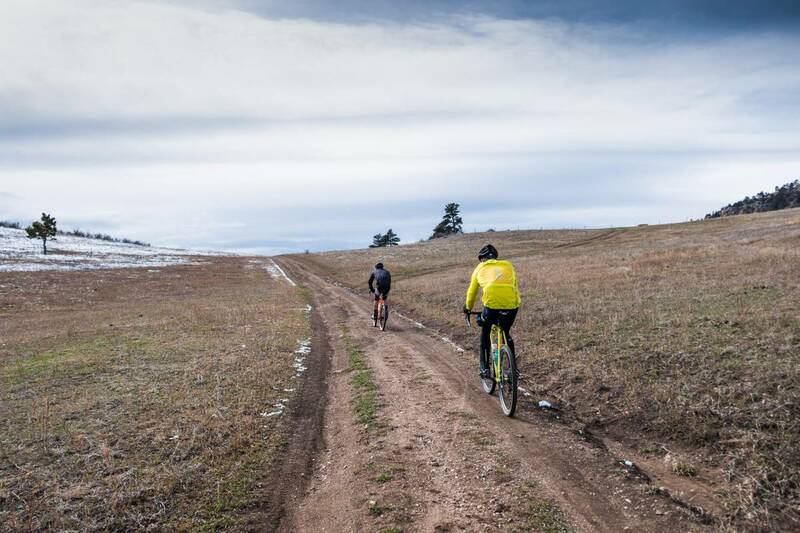 Steve had 40mm Gravel Kings, and Joe and I both had 47mm Byway tires. Perhaps when analyzed in a lab one of the bikes and one of the tires was slightly better adapted to the terrain, but I couldn’t tell which it was from where I was sitting. Steve’s style is more “go” and he often ended up on or off the front. 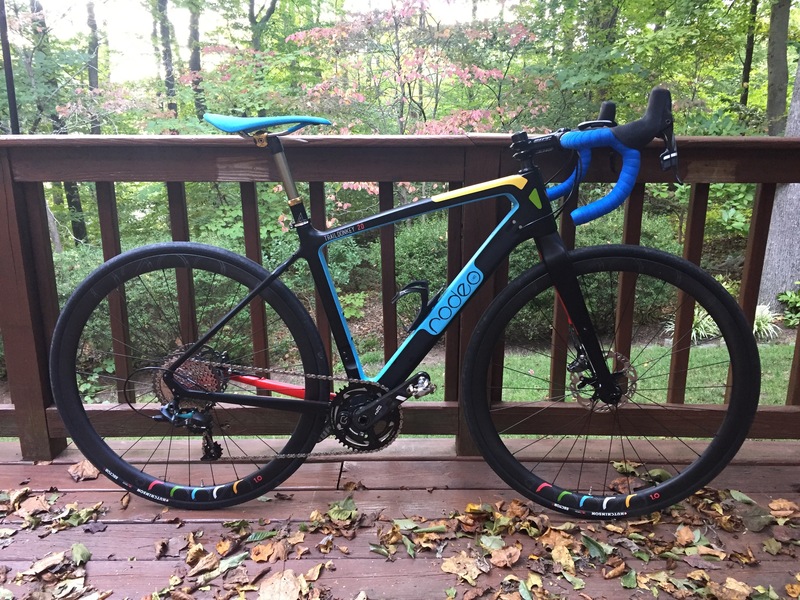 It is possible that his slightly smaller tires and slightly heavier steel frame and fork were somehow less quick, but don’t tell my legs and lungs that because I was totally on the rivet chasing him down on my carbon Donkey with Zipp 303 650b wheels and squishy tires. Was it fitness, was it gear, was it skill? Who cares! It was quite simply a difficult thing trying to keep up with Steve. Joe was super impressive on his Open. Being from Hawaii he had sea level lungs and was not adapted to the freezing conditions but once again he never showed it. For one Joe is definitely a super strong rider, and for two Joe knows how to ride drop bar singletrack as well as anyone else I know. His Open looked agile and very capable, he didn’t seem taxed keeping pace, and he totally embraced all of the conditions of the ride. I’ve been up to Centennial cone on my Donkey and Flaanimal quite a bit. I know the trails well. I know the lines, I knew what was around the bend. I was also on a capable bike. But I experience zero urge to try to gun it, to drop the other guys, and to some how express some form of Donkey dominance. And even if I had wanted to do that I doubt I could have dropped anyone either way. Nobody on the ride cared about any of that. Nobody needed to be the fastest or have the best bike. 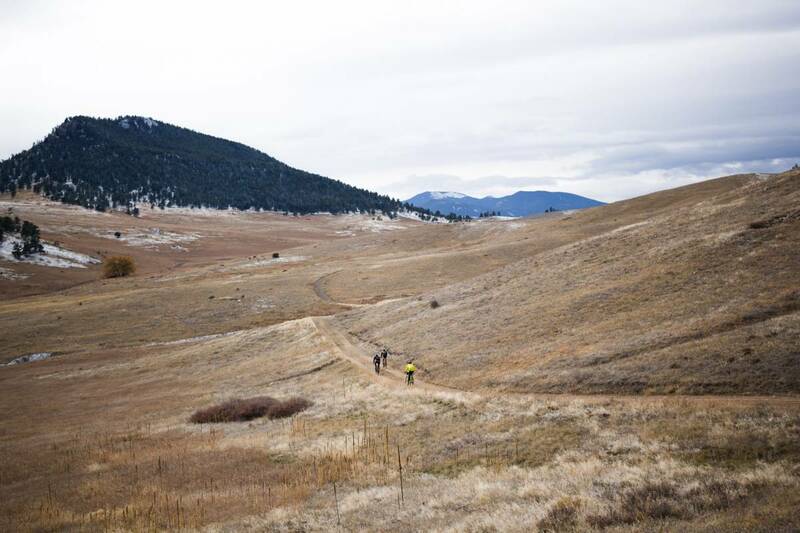 We were all just ripping beautiful singletrack, taking in the views, and swapping smiles at what a cool day it was. Magazines quite often like to do bike review shootouts and declare a champion. Maybe it makes compelling reading? I get that people want to know which bike is the quantifiable “Best Gravel Bike of 2017”. But I don’t believe in that. I believe in the word “capable”. 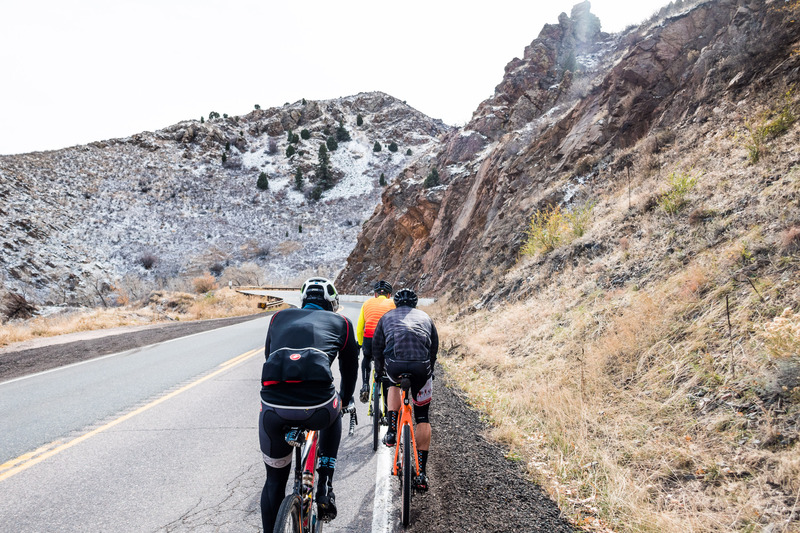 To have a great day with friends on the bike you need good friends who like to ride at a similar pace, you need people’s skill level to be similar, and lastly you need everyone’s bikes to be capable. The rest comes out in the wash. 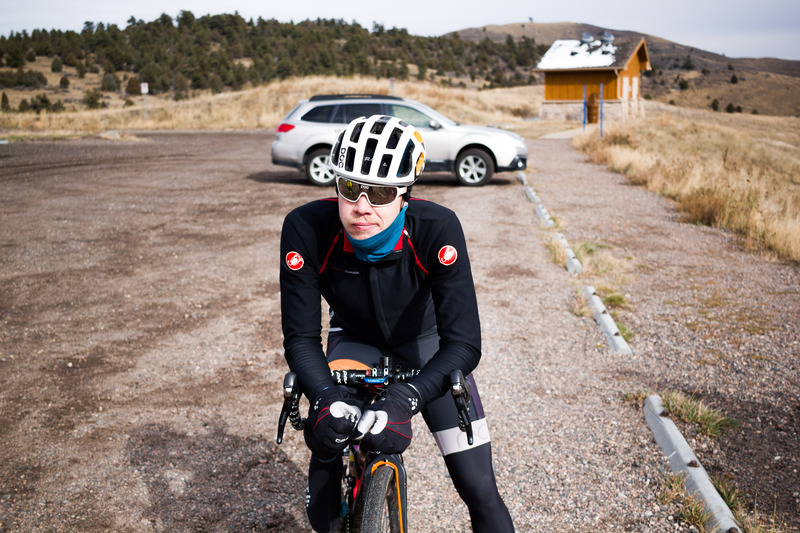 I hope I never show up to a ride or event with 100% or even 60% of the riders on our bikes. I hope Rodeo is never homogenized. I hope it doesn’t ever get samey. I am super keen to see what everyone else is riding. I like to appreciate the diversity of ideas and approaches to similar problems. I love the artistry of a small batch steel bike, I love the technical excellence of a super lightcarbon adventure bike, and I love a bike that doesn’t know exactly where it stands in the hierarchy of modern adventure rigs but wears its adventure pedigree with a sense of pride. Viva la adventure bike. Viva rides with friends.